SSC has issued admit cards for Combined Graduate Level Exam-2016 (TIER-II) that will commence from 30th November 2016. You can download your Admit Card by following the below given steps. Please note that your Admit card will contain your Date of Examination, Examination Centre along with City and the Shift of Examination. 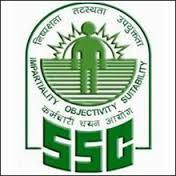 Visit the Official website of SSC of your region using below given links.